Let us narrow down the huge sea of properties to find just the right one for you. Just fill out the form below to get started. 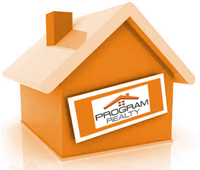 Once you submit the form, we will email you a list of homes, condos or lots that match your search criteria. You can be as specific or as general as you like. You will then be notified via email the instant any property becomes available that meets the same criteria. This is a great way to find properties like foreclosures that sell very fast...you will be notified of new listings or price changes within seconds of the changes being put in the MLS system.